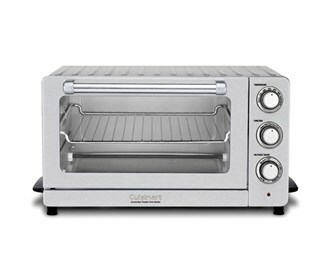 The Cuisinart Toaster Oven Broiler is a Convection Toaster Oven. The power of 1800 Watts delivers precise oven temperatures to accommodate a variety of recipes. This Oven features 4 cooking functions including innovative convection bake and convenient keep-warm function which make this oven multi-fuctional countertop oven. The size is so large that it can store 12" pizza. It comes in a stainless steel and industrial style design. 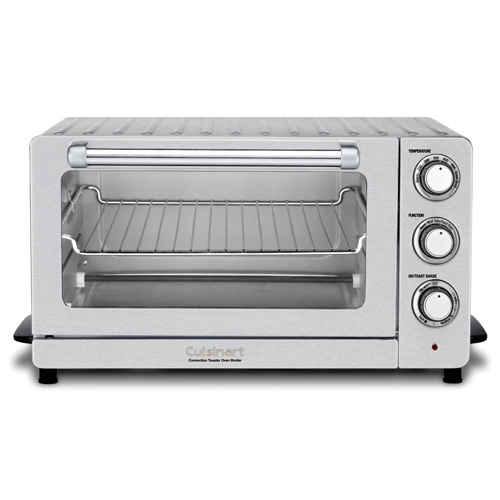 The Cuisinart TOB-60NFR has many exciting features for users of all types. You can extend the lifetime of your Cuisinart TOB-60NFR with the purchase of a FactoryOutletStore Factory Protection Plan.